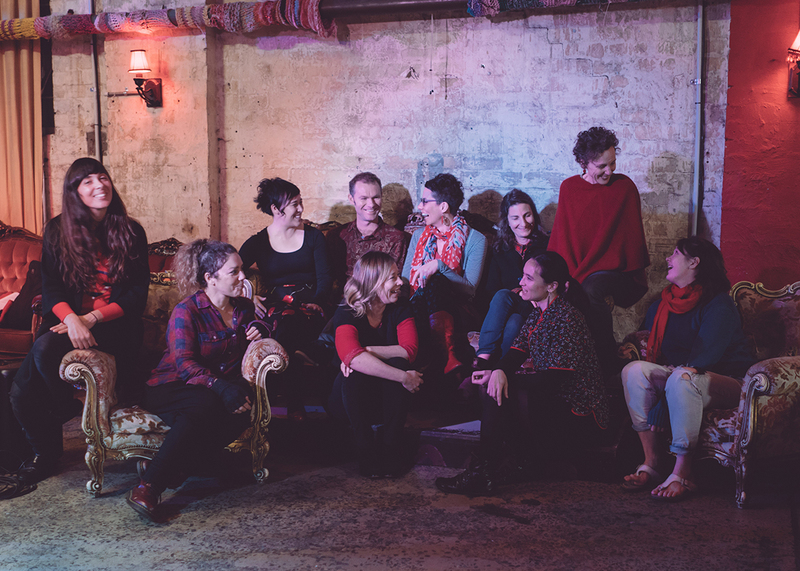 Ever committed to adventurous playing and commissioning of new music, Sydney’s Ensemble Offspring has also enlarged the scope of chamber music performance, engaging over the years with experimental film, opera, cutting edge pop and dance and installation. Now the ensemble has teamed with seven composers (Amanda Brown, Kyls Burtland, Jodi Phillis, Bree van Reyk, Jane Sheldon, Sally Whitwell, Caitlin Yeo), video artist Sarah-Jane Woulahan and writer Hilary Bell to venture into the making of a collaborative world governed by seven fundamental stories, but ones told from a distinctly female perspective. The story types, contentiously delineated by Christopher Booker in The Seven Basic Plots: Why We Tell Stories (2004), comprise The Quest, Overcoming the Darkness (sometimes a monster), Rags to Riches, Fatal Flaw (or Tragedy), Comedy of Errors, Journey and Transformation (sometimes described as rebirth). 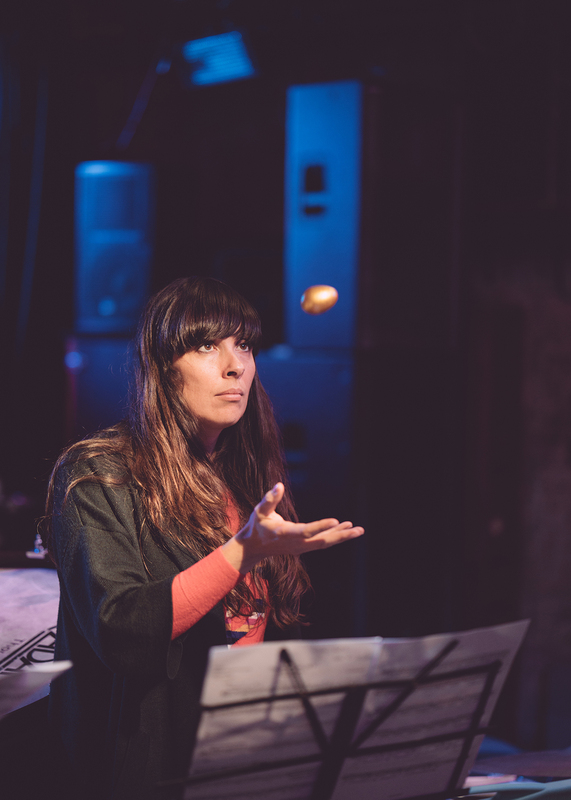 I spoke by phone with Claire Edwardes, Artistic Director of Ensemble Offspring and director of Seven Stories about the making of an ambitious, highly collaborative multimedia event. Where did the idea come from for creating a concert driven by seven fundamental stories? Ensemble Offspring was approached by Jodi Phillis of The Clouds and Amanda Brown of the Go-Betweens. They’d wanted to collaborate with five of their musical colleagues. And we all took it from there. Given the nature of the concert, which involves composers, musicians, a writer and a filmmaker, was there a creative development stage? Many. In musical terms, we went through a lot more creative development than usual. Usually, the writer writes the words and the composers go off and compose and then maybe, if you are lucky, the video comes after that, kind of reacting to the music. But often, the video is made simultaneously and, as you probably know, videos don’t always synch up and are not always completely related to the music. But in this case, we had several creative developments with the writer Hilary Bell and the video artist Sarah-Jane Woulahan who were always in the room. Hilary especially was constantly reacting to changes we made in the music, adjusting her text and reacting to feedback from the composers and musicians. Likewise, the composers would keep revising their music based on the musicians’ feedback. So it was like a total everyway stream of feedback. I’ve never really been involved in something so open and fluid in terms of the way this project was developed. To be honest, it’s a more challenging mode of working for the creatives because we, the performers, are very direct in our feedback. But it’s also hugely rewarding because it became obvious very quickly that it was all in the name of honing the best possible musical outcome and that was self evident in the final works which are simply stunning! How is the text delivered in the performance? Sometimes the words appear on the screen with the music or like a silent film still. At other times, they’re spoken or incorporated into the songs. The text is not a narrative that runs through the whole concert—each of the stories is quite separate—but there is the poeticism of Hilary’s words. Jane Sheldon doesn’t sing a song in every piece; her role is sometimes as narrator and sometimes as singer. For example, in Bree Van Reyk’s piece, Jane’s a conductor/woodblock-player understudy. That’s what Bree has called her. Of the seven story types Bree got Comedy and so she went for slapstick. We have to laugh and do wolf whistles. One of the movements is a woodblock concerto for me, which is hilarious, and she’s got Jane as my understudy. Tell me about the compositions. Jodi and Amanda are from two quite famous rock bands in the 80s, The Clouds and The Go-Betweens, so as you can imagine their starting point musically is quite different from the composers with whom we usually work, who are generally classically trained. Many of the Seven Stories team hadn’t previously notated detailed music for live instrumentalists before so the process was a new learning curve for them. But it worked out nicely in terms of musical and aesthetic balance. Then we have Sally Whitwell who is a trained classical musician and writes very accessible songs. Kyls Burtland and Caitlin Yeo write a lot of screen music and for television. For an Ensemble Offspring concert, the scores are quite tonal. And then Jane Sheldon is writing for the first time. Her piece ends the whole show. It’s called “Transformation” and it’s an exquisite piece working on tone-colour variation, which I think is a really great way to end the concert given we’ve had simple, touching songs and then Jane’s takes you up into the aether, sonically speaking. The compositions might be simpler ones than you usually play but were there challenges for the ensemble? Yes. I guess this was the whole point of the creative development. We really wanted to work with these composers to make the instrumental parts so we’re all really using our skills. We’re really multi-tasking to the max. There’s a huge percussion set-up. It’s definitely not simple for us to perform this show. It’s just that tonally it’s very melodic, very beautiful and I guess that often Ensemble Offspring concerts push boundaries. This is pushing boundaries in different ways and we hope that lots of people will like it. Did Hilary Bell’s text emerge from the creative development to-and-froing as well? It was very much part of it. She came to the rehearsals, wrote text, sent it to the composers and myself—as the director—and then we’d all feed back and then she’d do another draft. A few months would pass and then she’d send it to us again; we’d reflect, listen to the music and then she’d do another draft. She really changed her text based on everyone’s feedback. She’s been so open to that. It’s been wonderful working with her. No ego there! She’s amazing. The seven stories, are these micro-stories? Sort of, but it’s slightly more esoteric than that. There are references to fairy tales without each story being a complete narrative. It’s a more suggestive approach, referencing what people remember from their childhoods and throughout their lives and that we know these kinds of stories. Hilary hasn’t been too obvious, which I think is really nice. Very seriously. They spent a lot of time reflecting on them. The interesting thing about Hilary is that she responded to the composers and their interpretation of the story rather than the other way around. The video trailer for Seven Stories is very dramatic: roiling waves, turbulent clouds and a young woman foregrounded before them. Tell me about the video. I gave Sarah-Jane a brief that it would never be obvious who this protagonist is or what her story was. She’s more like a person returning in each of the stories. A number of them are linked to the sea and natural elements. There are mermaids with silver tails and so on in stories and all of that is very much picked up in the video. Christopher Booker’s book The Seven Basic Plots, which drew on the works of Carl Jung and Joseph Campbell, has been very influential, but it has been roundly criticised for being a masculine theory. Is Seven Stories an antidote in some ways? Yes, we realized there was this guy who was maybe not the most supportive of women [LAUGHS]. So we’ve remade them and taken them in a more feminine direction. It’s absolutely not a feminist work; more like a female take if you will on these ‘universal’ stories.